Nothing else is necessary before starting the following simple instructions. 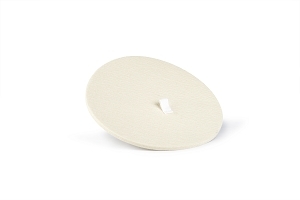 (1) Insert rubber stopper in hole of coffee bowl from the bottom with a push/twist Motion until tight and end is not resting on counter surface. place with the Exclusive TAB UP. 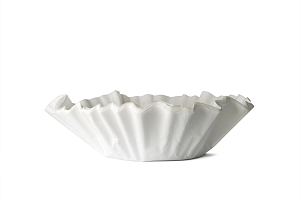 (3) If using the fluted paper liners push to the bottom of the coffee bowl, pressing flutes against sides of coffee bowl. Pour 1 lb. 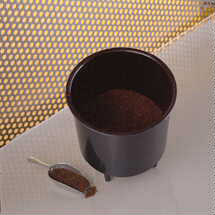 Regular to coarse ground coffee into the coffee bowl. 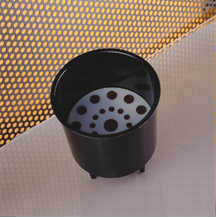 (4) Now place the water bowl on top of coffee bowl and fill to appropriate water line. The water will drain into the coffee bowl slowly. Note: amount of concentrate will vary depending on coffee and grind. (5) Let stand for 12 to 24 hours. (6) After brew time has elapsed (minimum of 12 hours), set aside the water bowl and lift the coffee bowl and remove the stopper while OVER the decanter, set it on decanter to drain. Complete draining may take 45 minutes to 1 hour. 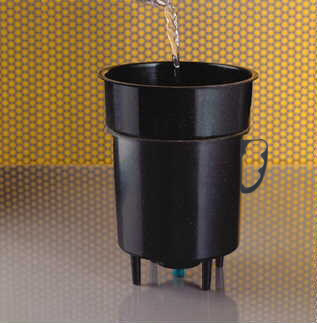 (Note) Many users do not dump the grounds at this point, but place the stopper back into the bottom and repeat the process for another 12 hours using only half the water. Then combine the two batches, This will really stretch your coffee dollar. (7) Use the decanter (cap included) for <?xml:namespace prefix = v /> storage in your refrigerator or transfer the concentrate to the convenient Tip N-Pour dispenser bottle. 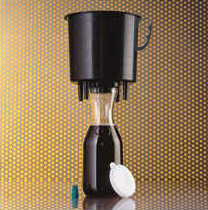 Order extra decanters for decaf or flavored coffees. The concentrate will keep for more than 6 weeks under refrigeration... just as delicious as the day it was made. 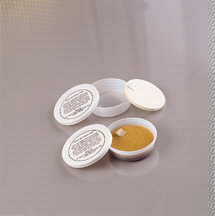 The concentrate will last 4-5 weeks un-refrigerated (up to 75), great for field trips and office desks. The Filtron® extract is highly concentrated. The amount of concentrate needed to make a cup of coffee varies, depending upon the brand of coffee used and the strength desired. Because the slightest amount of concentrate influences the strength of your coffee, experiment until you establish the right amount needed for the most satisfying cup of coffee. Also great for iced coffee, smoothies and recipes calling for strong coffee. (8) Use at least one ounce of concentrate per 6oz. of hot or cold water. (one oz. = 2 Tablespoons). For those who are advised by a doctor against drinking coffee, ask your physician to write us for a chemical analysis of coffee made by the cold water process. Many doctors will permit their diet restricted patients to drink coffee made the Filtron® way.